This 2019 Toyota Avalon XLE is offered to you for sale by Balise Toyota of Warwick. This Toyota includes: 50 STATE EMISSIONS MOONROOF PACKAGE Generic Sun/Moonroof Sun/Moonroof *Note - For third party subscriptions or services, please contact the dealer for more information. * CARFAX shows that this is a one-owner vehicle -- no wonder it's in such great condition. You could spend more on fuel each month than on your vehicle payments, so why not consider one with exceptional fuel economy like this 2019 Toyota Avalon. If you are looking for a pre-owned vehicle that looks brand-new, look no further than this Harbor Gray Metallic Toyota Avalon. Added comfort with contemporary style is the leather interior to heighten the quality and craftsmanship for the Toyota Avalon Thank you for taking the time to review one of our pre-owned vehicles. We have many! As one of the largest pre-owned dealerships in Rhode Island, we are committed to providing you with a purchase experience that will WOW you. If we fail to meet your expectations in any way...please let me know. Thank you. Mike O'Connell, General Manager. Contact Balise Toyota of Warwick today for information on dozens of vehicles like this 2019 Toyota Avalon XLE. This Toyota includes: 50 STATE EMISSIONS MOONROOF PACKAGE Generic Sun/Moonroof Sun/Moonroof Why does this vehicle look so great? The Autocheck report shows it's only been owned by one owner. You could spend more on fuel each month than on your vehicle payments, so why not consider one with exceptional fuel economy like this 2019 Toyota Avalon. Although this 2019 Toyota Avalon XLE is technically a pre-owned vehicle, the clean and spotless interior could fool even the toughest critic. Added comfort with contemporary style is the leather interior to heighten the quality and craftsmanship for the Toyota Avalon Thank you for taking the time to review one of our pre-owned vehicles. We have many! As one of the largest pre-owned dealerships in Rhode Island, we are committed to providing you with a purchase experience that will WOW you. If we fail to meet your expectations in any way...please let me know. Thank you. Mike O'Connell, General Manager. Balise Toyota of Warwick is excited to offer this 2017 Toyota Camry. With its full Autocheck one-owner history report, you'll know exactly what you are getting with this well-kept Toyota Camry. This low mileage Toyota Camry has barely been touched. It's the next best thing to buying new. Looking for a Toyota Camry that is in great condition inside and out? Take a look at this beauty. The Toyota Camry has been the best-selling car in America for twelve years now. The Camry is a massive success and with good reason -- it's got proven reliability, a quiet and spacious interior, good fuel economy and exciting exterior styling. For anyone who needs quiet, comfortable transportation for up to five people without breaking the bank, the Camry is invariably the place to start the search. The Camry offers a ton of versatility for the price, but can also be optioned up to give buyers that luxury car feel if they so desire. * Reliable * aggressive styling * comfortable * spacious * efficient Thank you for taking the time to review one of our pre-owned vehicles. We have many! As one of the largest pre-owned dealerships in Rhode Island, we are committed to providing you with a purchase experience that will WOW you. If we fail to meet your expectations in any way...please let me know. Thank you. Mike O'Connell, General Manager. Balise Toyota of Warwick is pleased to be currently offering this 2016 Toyota Camry SE w/Special Edition Pkg with 34,892mi. This Toyota includes: SPECIAL EDITION PACKAGE The Autocheck report for this 2016 Toyota Camry SE w/Special Edition Pkg highlights that it's a One-Owner vehicle, and for good reason. A One-Owner vehicle gives you the feel of owning a new vehicle without paying the new car price. Low, low mileage coupled with an exacting maintenance program make this vehicle a rare find. If you are looking for a pre-owned vehicle that looks brand-new, look no further than this Blizzard Pearl Toyota Camry. You demand the best in everything, so why would your automobile be any different? Enjoy the best features available in this stunning Toyota Camry. Where do you need to go today? Just punch it into the Toyota Camry on-board navigation system and hit the road. The Toyota Camry SE w/Special Edition Pkg is exactly what you would expect out of a Toyota. It's decadently opulent, meticulously engineered and unapologetically grandiose. This Toyota is equipped with some of the most amazing wheels the market has to offer! Once you take this Toyota Camry SE w/Special Edition Pkg for a test drive, you'll instantly realize how much of an added bonus this vehicle's upgraded wheels provide. The Toyota Camry has been the best-selling car in America for twelve years now. The Camry is a massive success and with good reason -- it's got proven reliability, a quiet and spacious interior, good fuel economy and exciting exterior styling. For anyone who needs quiet, comfortable transportation for up to five people without breaking the bank, the Camry is invariably the place to start the search. The Camry offers a ton of versatility for the price, but can also be optioned up to give buyers that luxury car feel if they so desire. Thank you for taking the time to review one of our pre-owned vehicles. We have many! As one of the largest pre-owned dealerships in Rhode Island, we are committed to providing you with a purchase experience that will WOW you. If we fail to meet your expectations in any way...please let me know. Thank you. Mike O'Connell, General Manager. Balise Toyota of Warwick is honored to present a wonderful example of pure vehicle design... this 2016 Toyota Camry Hybrid LE only has 28,992mi on it and could potentially be the vehicle of your dreams! Enjoy an extra level of calm when purchasing this Toyota Camry Hybrid LE, it's a CARFAX One-Owner. The CARFAX report shows everything you need to know to confidently make your pre-owned purchase. You can tell this 2016 Toyota Camry Hybrid has been pampered by the fact that it has less than 28,992mi and appears with a showroom shine. This pre-owned Toyota Camry Hybrid looks like new with a clean interior that's been well-kept. The Toyota Camry has been the best-selling car in America for twelve years now. The Camry is a massive success and with good reason -- it's got proven reliability, a quiet and spacious interior, good fuel economy and exciting exterior styling. For anyone who needs quiet, comfortable transportation for up to five people without breaking the bank, the Camry is invariably the place to start the search. The Camry offers a ton of versatility for the price, but can also be optioned up to give buyers that luxury car feel if they so desire. Thank you for taking the time to review one of our pre-owned vehicles. We have many! As one of the largest pre-owned dealerships in Rhode Island, we are committed to providing you with a purchase experience that will WOW you. If we fail to meet your expectations in any way...please let me know. Thank you. Mike O'Connell, General Manager. Contact Balise Toyota of Warwick today for information on dozens of vehicles like this 2016 Toyota Corolla LE. Autocheck shows that this is a one-owner vehicle -- no wonder it's in such great condition. When it comes to high fuel economy, plenty of versatility and a great looks, this Toyota Corolla LE cannot be beat. This Toyota Corolla's superior fuel-efficiency is proof that not all vehicles are created equal. With less than 34,225mi on this Toyota Corolla, you'll appreciate the practically showroom newness of this vehicle. This Toyota Corolla LE is in great condition both inside and out. No abnormal wear and tear. More information about the 2016 Toyota Corolla: The Corolla has been volume leader for Toyota for several years, and the latest version offers buyers even more bang for their buck. In a crowded compact segment, against the Honda Civic, Nissan Sentra and Ford Focus, the new Corolla stands out for its fresh, athletic styling, as well as its roomy, feature-rich interior. The LE Eco even offers best-in-class fuel economy. Add Toyota's outstanding reputation for reliability, and the 2016 Corolla deserves a place at the top of every compact car-shopper's list. Strengths of this model include Sporty looks, affordability, reliability, fuel efficiency, and standard features Thank you for taking the time to review one of our pre-owned vehicles. We have many! As one of the largest pre-owned dealerships in Rhode Island, we are committed to providing you with a purchase experience that will WOW you. If we fail to meet your expectations in any way...please let me know. Thank you. Mike O'Connell, General Manager. Balise Toyota of Warwick is honored to present a wonderful example of pure vehicle design... this 2017 Toyota Corolla LE only has 56,857mi on it and could potentially be the vehicle of your dreams! This Toyota Corolla has been loved by its original owner as Autocheck shows it to be a one-owner. Outstanding fuel economy and sleek styling are two great reasons to consider this Toyota Corolla. Looking for a Toyota Corolla that is in great condition inside and out? Take a look at this beauty. This is the one. Just what you've been looking for. Thank you for taking the time to review one of our pre-owned vehicles. We have many! As one of the largest pre-owned dealerships in Rhode Island, we are committed to providing you with a purchase experience that will WOW you. If we fail to meet your expectations in any way...please let me know. Thank you. Mike O'Connell, General Manager. Balise Toyota of Warwick has a wide selection of exceptional pre-owned vehicles to choose from, including this 2017 Toyota Corolla. This vehicle is loaded with great features! If you're going to purchase a pre-owned vehicle, why wouldn't you purchase one with an Autocheck one-owner report. The 2017 Toyota offers compelling fuel-efficiency along with great value. You will no longer feel the need to repeatedly fill up this Toyota Corolla LE's gas tank, in part because of it's superb EPA rating. A Toyota with as few miles as this one is a rare find. This Corolla LE was gently driven and it shows. The interior of this Toyota Corolla LE has been through meticulous inspection and could almost pass for a brand new vehicle. Thank you for taking the time to review one of our pre-owned vehicles. We have many! As one of the largest pre-owned dealerships in Rhode Island, we are committed to providing you with a purchase experience that will WOW you. If we fail to meet your expectations in any way...please let me know. Thank you. Mike O'Connell, General Manager. This 2016 Toyota Corolla LE is proudly offered by Balise Toyota of Warwick If you're going to purchase a pre-owned vehicle, why wouldn't you purchase one with Autocheck one-owner report. You don't have to sacrifice style or comfort with this fuel-efficient Toyota Corolla. Low, low mileage coupled with an exacting maintenance program make this vehicle a rare find. Beautiful exterior. Clean interior. This Toyota Corolla is so immaculate it is practically new. More information about the 2016 Toyota Corolla: The Corolla has been volume leader for Toyota for several years, and the latest version offers buyers even more bang for their buck. In a crowded compact segment, against the Honda Civic, Nissan Sentra and Ford Focus, the new Corolla stands out for its fresh, athletic styling, as well as its roomy, feature-rich interior. The LE Eco even offers best-in-class fuel economy. Add Toyota's outstanding reputation for reliability, and the 2016 Corolla deserves a place at the top of every compact car-shopper's list. This model sets itself apart with Sporty looks, affordability, reliability, fuel efficiency, and standard features Thank you for taking the time to review one of our pre-owned vehicles. We have many! As one of the largest pre-owned dealerships in Rhode Island, we are committed to providing you with a purchase experience that will WOW you. If we fail to meet your expectations in any way...please let me know. Thank you. Mike O'Connell, General Manager. Thank you for your interest in one of Balise Toyota of Warwick's online offerings. Please continue for more information regarding this 2016 Toyota Corolla LE with 12,606mi. Why does this vehicle look so great? The Autocheck report shows it's only been owned by one owner. This wonderfully fuel-efficient vehicle offers a supple ride, quick acceleration and superior styling without sacrificing MPGs. This 2016 Toyota Corolla has such low mileage it has been parked more than driven. If you are looking for a pre-owned vehicle that looks brand-new, look no further than this Slate Metallic Toyota Corolla. More information about the 2016 Toyota Corolla: The Corolla has been volume leader for Toyota for several years, and the latest version offers buyers even more bang for their buck. In a crowded compact segment, against the Honda Civic, Nissan Sentra and Ford Focus, the new Corolla stands out for its fresh, athletic styling, as well as its roomy, feature-rich interior. The LE Eco even offers best-in-class fuel economy. Add Toyota's outstanding reputation for reliability, and the 2016 Corolla deserves a place at the top of every compact car-shopper's list. This model sets itself apart with Sporty looks, affordability, reliability, fuel efficiency, and standard features Thank you for taking the time to review one of our pre-owned vehicles. We have many! As one of the largest pre-owned dealerships in Rhode Island, we are committed to providing you with a purchase experience that will WOW you. If we fail to meet your expectations in any way...please let me know. Thank you. Mike O'Connell, General Manager. Contact Balise Toyota of Warwick today for information on dozens of vehicles like this 2016 Toyota Corolla LE. Autocheck shows that this is a one-owner vehicle -- no wonder it's in such great condition. Start enjoying more time in your new ride and less time at the gas station with this 2016 Toyota Corolla. It's not often you find just the vehicle you are looking for AND with low mileage. This is your chance to take home a gently used and barely driven Toyota Corolla. Looking for a Toyota Corolla that is in great condition inside and out? Take a look at this beauty. More information about the 2016 Toyota Corolla: The Corolla has been volume leader for Toyota for several years, and the latest version offers buyers even more bang for their buck. In a crowded compact segment, against the Honda Civic, Nissan Sentra and Ford Focus, the new Corolla stands out for its fresh, athletic styling, as well as its roomy, feature-rich interior. The LE Eco even offers best-in-class fuel economy. Add Toyota's outstanding reputation for reliability, and the 2016 Corolla deserves a place at the top of every compact car-shopper's list. Strengths of this model include Sporty looks, affordability, reliability, fuel efficiency, and standard features Thank you for taking the time to review one of our pre-owned vehicles. We have many! As one of the largest pre-owned dealerships in Rhode Island, we are committed to providing you with a purchase experience that will WOW you. If we fail to meet your expectations in any way...please let me know. Thank you. Mike O'Connell, General Manager. Check out this gently-used 2016 Toyota Corolla we recently got in. This well-maintained Toyota Corolla LE comes complete with a Autocheck one-owner history report. The Toyota Corolla LE speaks volumes about it's driver, uncompromising individuality, passion for driving, and standards far above the ordinary. It's exceptional fuel-efficiency is a clear sign that not all vehicles are created with the same standards. Exceptional in every sense of the word, this incredibly low mileage vehicle is one of a kind. The interior of this Toyota Corolla LE has been through meticulous inspection and could almost pass for a brand new vehicle. More information about the 2016 Toyota Corolla: The Corolla has been volume leader for Toyota for several years, and the latest version offers buyers even more bang for their buck. In a crowded compact segment, against the Honda Civic, Nissan Sentra and Ford Focus, the new Corolla stands out for its fresh, athletic styling, as well as its roomy, feature-rich interior. The LE Eco even offers best-in-class fuel economy. Add Toyota's outstanding reputation for reliability, and the 2016 Corolla deserves a place at the top of every compact car-shopper's list. This model sets itself apart with Sporty looks, affordability, reliability, fuel efficiency, and standard features Thank you for taking the time to review one of our pre-owned vehicles. We have many! As one of the largest pre-owned dealerships in Rhode Island, we are committed to providing you with a purchase experience that will WOW you. If we fail to meet your expectations in any way...please let me know. Thank you. Mike O'Connell, General Manager. You can find this 2016 Toyota Highlander XLE and many others like it at Balise Toyota of Warwick. This Toyota Highlander XLE defines excellence in an SUV. It has the convenience of limitless boundaries paired with city sophistication. This vehicle has an added performance bonus: AWD. It improves handling on those winding back roads, and gives you added safety and control when driving through wet and snow weather conditions. It's not a misprint. And the odometer isn't broken. This is a very low mileage Toyota Highlander. A rare find these days. Marked by excellent quality and features with unmistakable refined leather interior that added value and class to the Toyota Highlander Looking for a Toyota Highlander that is in great condition inside and out? Take a look at this beauty. Why go with a basic vehicle when you can have it all in this well-optioned Toyota Highlander? You can take the guesswork out of searching for your destination with this Toyota Highlander XLE's installed Navigation system. More information about the 2016 Toyota Highlander: The Toyota Highlander is a mid-sized near-luxury crossover competing in a crowded segment where just about every major auto manufacturer has a hat in the ring. What makes the Highlander successful is its blend of technology, convenience and Toyota durability at the right price. With plenty of standard features, plus a bevy of options, all wrapped in an attractive package, the Highlander stands out in a crowded field. This model sets itself apart with Roomy, good ground clearance, stylish and technology-filled interior, sleek exterior styling, available hybrid power and all-wheel drive Thank you for taking the time to review one of our pre-owned vehicles. We have many! As one of the largest pre-owned dealerships in Rhode Island, we are committed to providing you with a purchase experience that will WOW you. If we fail to meet your expectations in any way...please let me know. Thank you. Mike O'Connell, General Manager. Balise Toyota of Warwick has a wide selection of exceptional pre-owned vehicles to choose from, including this 2016 Toyota RAV4. Why does this vehicle look so great? The Autocheck report shows it's only been owned by one owner. Off-road or on the street, this Toyota RAV4 LE handles with ease. This Toyota RAV4 features AWD. That means power and control delivered to all four wheels for maximum grip and improved handling. Low, low mileage coupled with an exacting maintenance program make this vehicle a rare find. Beautiful exterior. Clean interior. This Toyota RAV4 is so immaculate it is practically new. More information about the 2016 Toyota RAV4: The RAV4 was one of the first modern crossover utility vehicles, and since its redesign in 2013, it's been a better fit for the habits of its most common buyers -- families who want a fuel-efficient, reliable, easy-to-park vehicle. A capable all-wheel-drive system makes the RAV4 a smart pick for those needing to commute through snowy winters or take a trip to the mountain. This model sets itself apart with Roomy interior for a compact SUV, fuel-efficiency, excellent connectivity and audio systems, capable all-wheel-drive system, and safety features Thank you for taking the time to review one of our pre-owned vehicles. We have many! As one of the largest pre-owned dealerships in Rhode Island, we are committed to providing you with a purchase experience that will WOW you. If we fail to meet your expectations in any way...please let me know. Thank you. Mike O'Connell, General Manager. 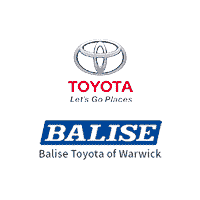 Thank you for visiting another one of Balise Toyota of Warwick's online listings! Please continue for more information on this 2016 Toyota RAV4 LE with 14,850mi. The Autocheck report shows this Toyota RAV4 is a well cared for One-Owner vehicle. In their original incarnation, SUVs were chiefly owned by folks who valued utility above sport. Not anymore! The Toyota RAV4 LE redefines the SUV and makes the perfect all around family companion. When driving an all wheel drive vehicle, such as this Toyota RAV4 LE, superior acceleration, traction, and control come standard. The RAV4 LE has been lightly driven and there is little to no wear and tear on this vehicle. The care taken on this gently used vehicle is reflective of the 14,850mi put on this Toyota. If not for a few miles on the odometer you would be hard-pressed to know this 2016 Toyota RAV4 is a pre-owned vehicle. More information about the 2016 Toyota RAV4: The RAV4 was one of the first modern crossover utility vehicles, and since its redesign in 2013, it's been a better fit for the habits of its most common buyers -- families who want a fuel-efficient, reliable, easy-to-park vehicle. A capable all-wheel-drive system makes the RAV4 a smart pick for those needing to commute through snowy winters or take a trip to the mountain. Strengths of this model include Roomy interior for a compact SUV, fuel-efficiency, excellent connectivity and audio systems, capable all-wheel-drive system, and safety features Thank you for taking the time to review one of our pre-owned vehicles. We have many! As one of the largest pre-owned dealerships in Rhode Island, we are committed to providing you with a purchase experience that will WOW you. If we fail to meet your expectations in any way...please let me know. Thank you. Mike O'Connell, General Manager. Balise Toyota of Warwick is honored to present a wonderful example of pure vehicle design... this 2018 Toyota Sienna LE only has 15,104mi on it and could potentially be the vehicle of your dreams! With its full Autocheck one-owner history report, you'll know exactly what you are getting with this well-kept Toyota Sienna. Clean interior? How about flawless. This Toyota Sienna looks like has never been used. This is the one. Just what you've been looking for. You could keep looking, but why? You've found the perfect vehicle right here. Thank you for taking the time to review one of our pre-owned vehicles. We have many! As one of the largest pre-owned dealerships in Rhode Island, we are committed to providing you with a purchase experience that will WOW you. If we fail to meet your expectations in any way...please let me know. Thank you. Mike O'Connell, General Manager. This 2017 Toyota Tacoma SR is offered to you for sale by Balise Toyota of Warwick. Enjoy an extra level of calm when purchasing this Toyota Tacoma SR, it's an Autocheck One-Owner. The Autocheck report shows everything you need to know to confidently make your pre-owned purchase. This vehicle has extremely low mileage on the odometer, so while it's pre-owned, it's practically new. The interior of this Toyota Tacoma SR has been through meticulous inspection and could almost pass for a brand new vehicle. The Tacoma competes with other compact pickup trucks such as the Chevrolet Colorado and the Nissan Frontier. However, neither of these competitors has the reputation of Toyota. Unlike full-sized trucks, the Tacoma is small enough to make sense in both urban and suburban environments. The Tacoma can maneuver nimbly in tight parking lots, and its turning radius is kept reasonable. At the same time, the Toyota offers the kind of utility that compact SUVs can only dream of. With a broad range of customization options, the Tacoma offers a surprisingly amount of comfort, and even gives owners the kind of interior space normally found in sedans. The Tacoma is truly a do-everything vehicle. Thank you for taking the time to review one of our pre-owned vehicles. We have many! As one of the largest pre-owned dealerships in Rhode Island, we are committed to providing you with a purchase experience that will WOW you. If we fail to meet your expectations in any way...please let me know. Thank you. Mike O'Connell, General Manager. Check out this gently-used 2017 Toyota Tacoma we recently got in. This Toyota includes: HARD TRI-FOLD TONNEAU COVER Pickup Bed Tonneau Cover TOW PACKAGE *Note - For third party subscriptions or services, please contact the dealer for more information. * This 4WD-equipped vehicle handles any condition on- or off-road with the sure footedness of a mountain goat. With unequaled traction and stability, you'll drive with confidence in any weather with this Super White 2017 4WD Toyota Tacoma SR5 Long Bed. This 2017 Toyota Tacoma has such low mileage it has been parked more than driven. This pre-owned Toyota Tacoma looks like new with a clean interior that's been well-kept. The Tacoma competes with other compact pickup trucks such as the Chevrolet Colorado and the Nissan Frontier. However, neither of these competitors has the reputation of Toyota. Unlike full-sized trucks, the Tacoma is small enough to make sense in both urban and suburban environments. The Tacoma can maneuver nimbly in tight parking lots, and its turning radius is kept reasonable. At the same time, the Toyota offers the kind of utility that compact SUVs can only dream of. With a broad range of customization options, the Tacoma offers a surprisingly amount of comfort, and even gives owners the kind of interior space normally found in sedans. The Tacoma is truly a do-everything vehicle. Thank you for taking the time to review one of our pre-owned vehicles. We have many! As one of the largest pre-owned dealerships in Rhode Island, we are committed to providing you with a purchase experience that will WOW you. If we fail to meet your expectations in any way...please let me know. Thank you. Mike O'Connell, General Manager. Balise Toyota of Warwick has a wide selection of exceptional pre-owned vehicles to choose from, including this 2017 Toyota Tacoma. This Toyota includes: PREDATOR TUBE STEPS (PPO) Running Boards/Side Steps TOW PACKAGE TRD SPORT PACKAGE (PY) Auto-Dimming Rearview Mirror Universal Garage Door Opener PAINT PROTECTION FILM *Note - For third party subscriptions or services, please contact the dealer for more information. * Enjoy an extra level of calm when purchasing this Toyota Tacoma TRD Sport, it's an Autocheck One-Owner. The Autocheck report shows everything you need to know to confidently make your pre-owned purchase. This Toyota Tacoma TRD Sport comes equipped with 4 wheel drive, which means no limitations as to how or where you can drive. Different terrains and varying weather conditions will have no effect as to how this vehicle performs. Rare is the vehicle that has been driven so gently and maintained so meticulously as this pre-owned beauty. Time is money, and thanks to the navigation system on this Toyota Tacoma, you'll be spending a whole lot less time getting to your destination. This vehicle comes with upgraded wheels for improved performance. The Tacoma competes with other compact pickup trucks such as the Chevrolet Colorado and the Nissan Frontier. However, neither of these competitors has the reputation of Toyota. Unlike full-sized trucks, the Tacoma is small enough to make sense in both urban and suburban environments. The Tacoma can maneuver nimbly in tight parking lots, and its turning radius is kept reasonable. At the same time, the Toyota offers the kind of utility that compact SUVs can only dream of. With a broad range of customization options, the Tacoma offers a surprisingly amount of comfort, and even gives owners the kind of interior space normally found in sedans. The Tacoma is truly a do-everything vehicle. Thank you for taking the time to review one of our pre-owned vehicles. We have many! As one of the largest pre-owned dealerships in Rhode Island, we are committed to providing you with a purchase experience that will WOW you. If we fail to meet your expectations in any way...please let me know. Thank you. Mike O'Connell, General Manager. Balise Toyota of Warwick is pleased to be currently offering this 2017 Toyota Tacoma Limited with 73,682mi. This Toyota includes: HICKORY, LEATHER SEAT TRIM Leather Seats HARD TRI-FOLD TONNEAU COVER Pickup Bed Tonneau Cover BLACK TOW PACKAGE *Note - For third party subscriptions or services, please contact the dealer for more information. * This well-maintained Toyota Tacoma Limited comes complete with an Autocheck one-owner history report. This 4WD-equipped vehicle will handle majestically on any terrain and in any weather condition your may find yourself in. The benefits of driving an Four Wheel Drive vehicle, such as this ToyotaTacoma Limited, include superior acceleration, improved steering, and increased traction and stability. Added comfort with contemporary style is the leather interior to heighten the quality and craftsmanship for the Toyota Tacoma This wonderfully maintained Toyota Tacoma is in the top 10% of its class when it comes to cleanliness and condition. This wonderfully appointed vehicle comes equipped with the options and features every driver craves. This vehicle comes with a navigation system. That doesn't mean you won't get lost. But it does mean you won't stay lost. Amazing wheels help set this Toyota Tacoma apart from other vehicles like it. The Tacoma competes with other compact pickup trucks such as the Chevrolet Colorado and the Nissan Frontier. However, neither of these competitors has the reputation of Toyota. Unlike full-sized trucks, the Tacoma is small enough to make sense in both urban and suburban environments. The Tacoma can maneuver nimbly in tight parking lots, and its turning radius is kept reasonable. At the same time, the Toyota offers the kind of utility that compact SUVs can only dream of. With a broad range of customization options, the Tacoma offers a surprisingly amount of comfort, and even gives owners the kind of interior space normally found in sedans. The Tacoma is truly a do-everything vehicle. Thank you for taking the time to review one of our pre-owned vehicles. We have many! As one of the largest pre-owned dealerships in Rhode Island, we are committed to providing you with a purchase experience that will WOW you. If we fail to meet your expectations in any way...please let me know. Thank you. Mike O'Connell, General Manager. Looking for a clean, well-cared for 2017 Toyota Tacoma? This is it. This Toyota includes: TOW PACKAGE 16 SILVER ALLOY (STD) Aluminum Wheels SR5 PACKAGE Auto-Dimming Rearview Mirror Universal Garage Door Opener *Note - For third party subscriptions or services, please contact the dealer for more information. * If you're going to purchase a pre-owned vehicle, why wouldn't you purchase one with Autocheck one-owner report. Want to brave the road less traveled? You'll have the 4WD capabilities to do it with this vehicle. The incredibly low mileage and painstaking upkeep on this Toyota Tacoma makes it a once-in-a-lifetime deal that won't last long! Call us today to reserve your test drive! The interior of this Toyota Tacoma SR5 has been through meticulous inspection and could almost pass for a brand new vehicle. Upgraded wheel package makes this Toyota Tacoma stand out from the rest. The Tacoma competes with other compact pickup trucks such as the Chevrolet Colorado and the Nissan Frontier. However, neither of these competitors has the reputation of Toyota. Unlike full-sized trucks, the Tacoma is small enough to make sense in both urban and suburban environments. The Tacoma can maneuver nimbly in tight parking lots, and its turning radius is kept reasonable. At the same time, the Toyota offers the kind of utility that compact SUVs can only dream of. With a broad range of customization options, the Tacoma offers a surprisingly amount of comfort, and even gives owners the kind of interior space normally found in sedans. The Tacoma is truly a do-everything vehicle. Thank you for taking the time to review one of our pre-owned vehicles. We have many! As one of the largest pre-owned dealerships in Rhode Island, we are committed to providing you with a purchase experience that will WOW you. If we fail to meet your expectations in any way...please let me know. Thank you. Mike O'Connell, General Manager. Looking for a clean, well-cared for 2016 Toyota Tacoma? This is it. This Toyota includes: TRD SPORT PACKAGE (PY) TOWING PACKAGE NAVIGATION When Toyota created this vehicle with 4 wheel drive, they immediately enhanced the performance ability. Easily switch between two and four wheel drive to take advantage of the improved steering and superior acceleration. You can tell this 2016 Toyota Tacoma has been pampered by the fact that it has less than 47,113mi and appears with a showroom shine. Pre-owned doesn't have to mean used. The clean interior of this Toyota Tacoma makes it one of the nicest you'll find. When this vehicle was shipped from the factory, Toyota decided that no option should be left off of this magnificent automobile. So, if you're in the market for a Toyota Tacoma Double Cab TRD Sport that is equipped with copious amounts of options, then we may just have the perfect vehicle to suit your needs. Put away your phone and focus on the road, your new vehicle has navigation. More information about the 2016 Toyota Tacoma: The Tacoma starts at just above $23,000, and competes with other compact pickup trucks like the Chevrolet Colorado and the Nissan Frontier. However, neither of these competitors has Toyota's reputation for quality, safety and longevity. Unlike full-sized trucks, the Tacoma is small enough to make sense in both urban and suburban environments. The Tacoma can maneuver nimbly in tight parking lots, and its turning radius is kept reasonable. At the same time, the Tacoma offers the kind of utility that compact SUVs can only dream of. With a broad range of customization options, the Tacoma offers a surprisingly amount of comfort, and even gives owners the kind of interior space normally found in sedans. The Tacoma is truly a 'do-everything' vehicle. Interesting features of this model are low base price, legendary reliability, high resale value, eminently capable, and Roomy cabin Thank you for taking the time to review one of our pre-owned vehicles. We have many! As one of the largest pre-owned dealerships in Rhode Island, we are committed to providing you with a purchase experience that will WOW you. If we fail to meet your expectations in any way...please let me know. Thank you. Mike O'Connell, General Manager. Balise Toyota of Warwick is honored to present a wonderful example of pure vehicle design... this 2017 Toyota Tacoma SR5 only has 12,003mi on it and could potentially be the vehicle of your dreams! This Toyota includes: TOW PACKAGE PREDATOR TUBE STEPS (PPO) Running Boards/Side Steps Why does this vehicle look so great? The Autocheck report shows it's only been owned by one owner. Taking the road less traveled has never been more fun than with this 4WD. With improved performance, mileage and acceleration, this 2017 4WD Toyota Tacoma SR5 is king of the off-road. A Toyota with as few miles as this one is a rare find. This Tacoma SR5 was gently driven and it shows. This pre-owned Toyota Tacoma looks like new with a clean interior that's been well-kept. High-end wheels help round out the many options of this Toyota Tacoma SR5. The Tacoma competes with other compact pickup trucks such as the Chevrolet Colorado and the Nissan Frontier. However, neither of these competitors has the reputation of Toyota. Unlike full-sized trucks, the Tacoma is small enough to make sense in both urban and suburban environments. The Tacoma can maneuver nimbly in tight parking lots, and its turning radius is kept reasonable. At the same time, the Toyota offers the kind of utility that compact SUVs can only dream of. With a broad range of customization options, the Tacoma offers a surprisingly amount of comfort, and even gives owners the kind of interior space normally found in sedans. The Tacoma is truly a do-everything vehicle. Thank you for taking the time to review one of our pre-owned vehicles. We have many! As one of the largest pre-owned dealerships in Rhode Island, we are committed to providing you with a purchase experience that will WOW you. If we fail to meet your expectations in any way...please let me know. Thank you. Mike O'Connell, General Manager. Thank you for your interest in one of Balise Toyota of Warwick's online offerings. Please continue for more information regarding this 2017 Toyota Tacoma TRD Sport with 52,020mi. This Toyota includes: TOW PACKAGE TRD SPORT PACKAGE (PY) ENTUNE PREMIUM AUDIO Auto-Dimming Rearview Mirror Universal Garage Door Opener With Autocheck one owner report you can be sure that this Toyota Tacoma was only gently owned. Take home this Toyota Tacoma TRD Sport, and you will have the power of 4WD. It's a great feature when you need to drive over tricky terrain or through inclement weather. If you are looking for a pre-owned vehicle that looks brand-new, look no further than this Silver Sky Metallic Toyota Tacoma. Time is money, and thanks to the navigation system on this Toyota Tacoma, you'll be spending a whole lot less time getting to your destination. The Tacoma competes with other compact pickup trucks such as the Chevrolet Colorado and the Nissan Frontier. However, neither of these competitors has the reputation of Toyota. Unlike full-sized trucks, the Tacoma is small enough to make sense in both urban and suburban environments. The Tacoma can maneuver nimbly in tight parking lots, and its turning radius is kept reasonable. At the same time, the Toyota offers the kind of utility that compact SUVs can only dream of. With a broad range of customization options, the Tacoma offers a surprisingly amount of comfort, and even gives owners the kind of interior space normally found in sedans. The Tacoma is truly a do-everything vehicle. Thank you for taking the time to review one of our pre-owned vehicles. We have many! As one of the largest pre-owned dealerships in Rhode Island, we are committed to providing you with a purchase experience that will WOW you. If we fail to meet your expectations in any way...please let me know. Thank you. Mike O'Connell, General Manager. Balise Toyota of Warwick has a wide selection of exceptional pre-owned vehicles to choose from, including this 2018 Toyota Tundra 4WD. Why does this vehicle look so great? The CARFAX report shows it's only been owned by one owner. This Toyota Tundra 4WD SR5 comes equipped with 4 wheel drive, which means no limitations as to how or where you can drive. Different terrains and varying weather conditions will have no effect as to how this vehicle performs. This Toyota Tundra 4WD SR5 is in great condition both inside and out. No abnormal wear and tear. Just what you've been looking for. With quality in mind, this vehicle is the perfect addition to take home. Thank you for taking the time to review one of our pre-owned vehicles. We have many! As one of the largest pre-owned dealerships in Rhode Island, we are committed to providing you with a purchase experience that will WOW you. If we fail to meet your expectations in any way...please let me know. Thank you. Mike O'Connell, General Manager. Thank you for visiting another one of Balise Toyota of Warwick's online listings! Please continue for more information on this 2017 Toyota Tundra 4WD Platinum with 22,446mi. The Autocheck report for this 2017 Toyota Tundra 4WD Platinum highlights that it's a One-Owner vehicle, and for good reason. A One-Owner vehicle gives you the feel of owning a new vehicle without paying the new car price. This Toyota Tundra 4WD Platinum's level of quality is not meant for just anyone. It's meant for the person who strives for a classy, comfortable, and luxurious car. This 4WD-equipped vehicle will handle beautifully on any terrain and in any weather condition your may find yourself in. The benefits of driving a 4 wheel drive vehicle, such as this Toyota Tundra 4WD Platinum, include superior acceleration, improved steering, and increased traction and stability. With less than 22,446mi on this Toyota Tundra 4WD, you'll appreciate the practically showroom newness of this vehicle. Looking for a Toyota Tundra 4WD that is in great condition inside and out? Take a look at this beauty. Added comfort with contemporary style is the leather interior to heighten the quality and craftsmanship for the Toyota Tundra 4WD You can take the guesswork out of searching for your destination with this Toyota Tundra 4WD Platinum's installed Navigation system. A perfect find to complement any rare automotive collection. This beautiful lass will turn heads everywhere she goes. Thank you for taking the time to review one of our pre-owned vehicles. We have many! As one of the largest pre-owned dealerships in Rhode Island, we are committed to providing you with a purchase experience that will WOW you. If we fail to meet your expectations in any way...please let me know. Thank you. Mike O'Connell, General Manager. You can find this 2013 Toyota Tundra 4WD Truck and many others like it at Balise Toyota of Warwick. This Toyota includes: AM/FM STEREO W/CD/WMA/MP3 PLAYER TOW PKG CONVENIENCE PKG *Note - For third party subscriptions or services, please contact the dealer for more information. * This vehicle comes with 4WD for better traction on unstable surfaces, like snow and dirt to give you the edge over anything you might encounter on the road. Low, low mileage coupled with an exacting maintenance program make this vehicle a rare find. Pre-owned doesn't have to mean used. The clean interior of this Toyota Tundra 4WD Truck makes it one of the nicest you'll find. More information about the 2013 Toyota Tundra 4WD Truck: The 2013 Tundra CrewMax has best-in-class legroom according to Toyota, and offers the only reclining and sliding rear seat among pickups. The Tundra also offers one of the best-designed interiors, with plenty of storage space and easy access to the backseat area. The available 5.7L engine makes 381 horsepower and 401 lb-feet of torque, with hauling and towing ability near the top of the segment. Safety is also a strong selling point, as the Tundra is the first full-size pickup to have stability control, front side airbags, front seat knee airbags and rollover-sensing side-curtain airbags standard across the model line. This model sets itself apart with towing and hauling ability, pair of V8 engine options, Safety features, and thoughtful interior design Thank you for taking the time to review one of our pre-owned vehicles. We have many! As one of the largest pre-owned dealerships in Rhode Island, we are committed to providing you with a purchase experience that will WOW you. If we fail to meet your expectations in any way...please let me know. Thank you. Mike O'Connell, General Manager. This 2016 Toyota Tundra 4WD Truck LTD is proudly offered by Balise Toyota of Warwick This Toyota includes: POWER TILT Generic Sun/Moonroof Sun/Moonroof LIMITED PREMIUM PACKAGE Power Windows Rear Parking Aid Blind Spot Monitor RADIO: ENTUNE PREMIUM W/JBL AUDIO HD Radio Navigation System CD Player AM/FM Stereo Satellite Radio Bluetooth Connection Auxiliary Audio Input MP3 Player TRD OFF ROAD PACKAGE Aluminum Wheels Privacy Glass Tires - Rear All-Terrain Tires - Front All-Terrain The Toyota Tundra 4WD Truck LTD's pristine good looks were combined with the Toyota high standard of excellence in order to make this a unique find. This vehicle comes with 4WD for better traction on unstable surfaces, like snow and dirt to give you the edge over anything you might encounter on the road. This low mileage Toyota Tundra 4WD Truck has barely been touched. It's the next best thing to buying new. Where do you need to go today? Just punch it into the Toyota Tundra 4WD Truck on-board navigation system and hit the road. The interior of this Toyota Tundra 4WD Truck LTD has been through meticulous inspection and could almost pass for a brand new vehicle. This Toyota Tundra 4WD Truck LTD comes standard with features that are essential in the 21st Century. However, Toyota decided to take it one step further and add a handful of quintessential options that will undoubtedly add to this vehicle's quality and value. Added comfort with contemporary style is the leather interior to heighten the quality and craftsmanship for the Toyota Tundra 4WD Truck The upgraded wheels on this Toyota Tundra 4WD Truck offer an improved ride and an attractive accent to the vehicle. More information about the 2016 Toyota Tundra 4WD Truck: The 2016 Tundra CrewMax has best-in-class legroom according to Toyota and offers the only reclining and sliding rear seat among pickups. The Tundra also offers one of the best-designed interiors, with plenty of storage space and easy access to the backseat area. The available 5.7L engine makes 381 horsepower and 401 foot-pounds of torque, with hauling and towing ability near the top of the segment. Interesting features of this model are pair of V8 engine options, towing and hauling ability, thoughtful interior design, and Safety features Thank you for taking the time to review one of our pre-owned vehicles. We have many! As one of the largest pre-owned dealerships in Rhode Island, we are committed to providing you with a purchase experience that will WOW you. If we fail to meet your expectations in any way...please let me know. Thank you. Mike O'Connell, General Manager. Contact Balise Toyota of Warwick today for information on dozens of vehicles like this 2014 Honda Accord Sedan LX. The 2014 Honda offers compelling fuel-efficiency along with great value. You will no longer feel the need to repeatedly fill up this Honda Accord Sedan LX's gas tank, in part because of it's superb EPA rating. This 2014 Honda Accord Sedan has such low mileage it has been parked more than driven. Beautiful exterior. Clean interior. This Honda Accord Sedan is so immaculate it is practically new. More information about the 2014 Honda Accord Sedan: The Honda Accord is a mid-sized car, competing against some of the best-selling vehicles in America. Prime targets for the Accord include the Camry and the Altima. The Accord is a solid value, but with a capable and sophisticated chassis that can feel quite luxurious when properly optioned. This versatility allows it to be either a spacious alternative to many economy cars or a less expensive alternative to many luxury cars. There is even a stylish coupe available with performance that matches many sports cars. This model sets itself apart with long history of reliability, Fuel efficiency, variety of configurations available, and interior space Thank you for taking the time to review one of our pre-owned vehicles. We have many! As one of the largest pre-owned dealerships in Rhode Island, we are committed to providing you with a purchase experience that will WOW you. If we fail to meet your expectations in any way...please let me know. Thank you. Mike O'Connell, General Manager.